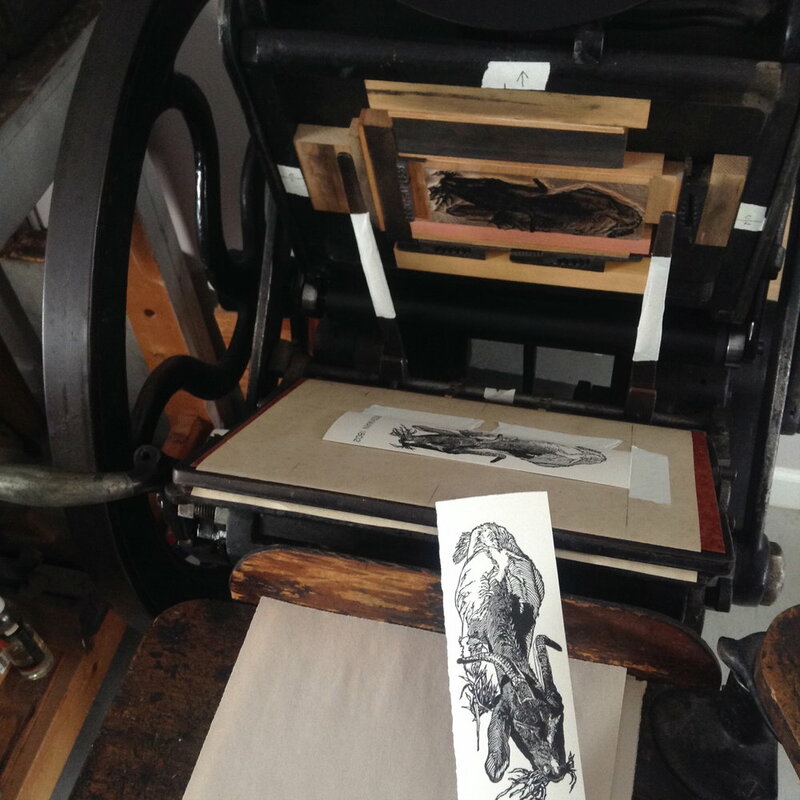 As a printmaker I work in relief prints: woodcuts, wood engravings, and linocuts. Images again derive from the landscape; birds, plants and insects round out my interests, a recent series of engravings are entitled "A Suite for St. Francis". My wood engravings are a form of relief printmaking. 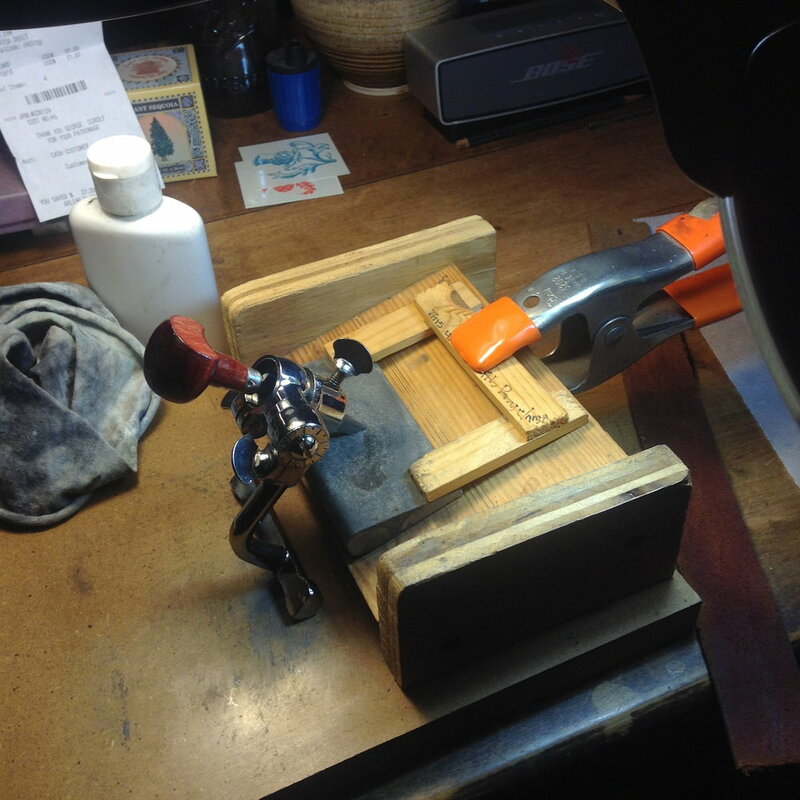 To start a wood engraving I draw an image on the end grain of a block constructed from hard wood; I use maple. The surface is as smooth as glass when starting. I coat the drawing with thin printing ink to see the cutting more easily. I use a variety of well-honed engraving tools to cut the image. Any area that is to remain white is cut away- leaving the printing surface raised- or in relief. A very thin, even layer of ink is rolled onto the block, and the block is placed into the press, paper follows, and a print is made. I print on a Golding proof press ca. 1890. Engraving tools and block for "Sign." Closer view of chase in press with proof of "Goat"
Woodcuts are also a form of relief printing- probably the oldest way to produce multiple images. 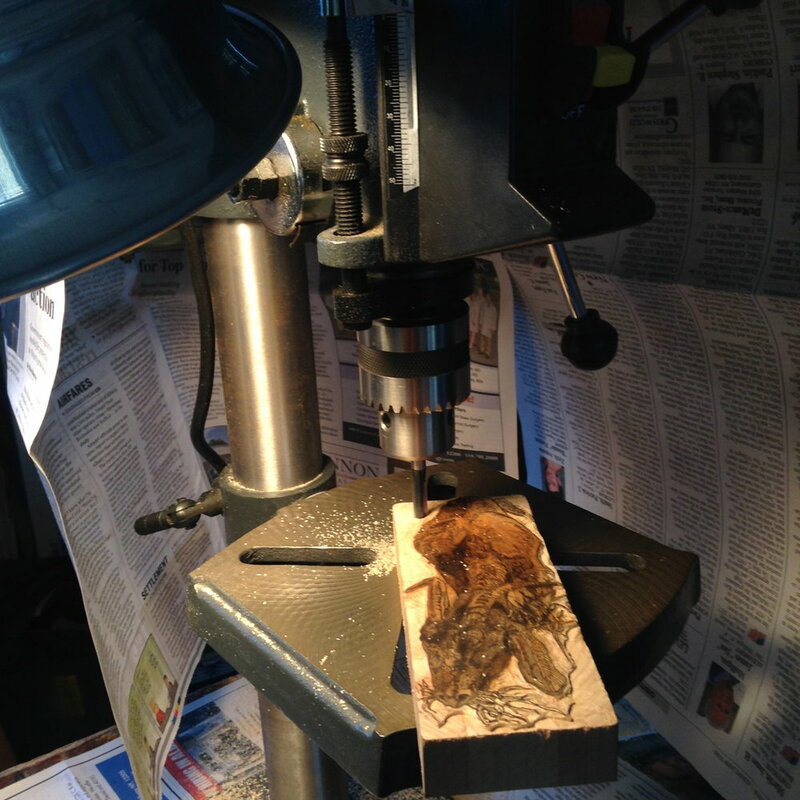 The image is drawn on the surface of a plank of old wood- the wood is cut away leaving the image as a raised surface, ink is rolled on and a sheet of paper is placed on top. Pressure is applied to the back of the sheet of paper and a print is made. I print all my woodcuts by hand-rubbing the back of the paper with a wooden spoon to make the print.